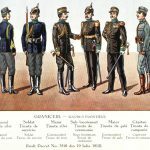 Border Guards, were organized into a unified form by the Law of Organization of Armed Forces of 24 July 1864, by merging the territorial troops of Wallachia and Moldova under the direct authority of the Ministry of War. The border areas were divided in the « Danube Strip » and the « Mountains Strip », surveyed by 4 inspectorates. The military service was 6 years long. 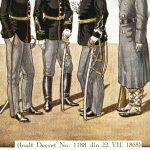 By the Royal Decree of 05 April 1869, the Territorial Division 1 Bucharest was created and the military service was increased to 7 years, though not permanent, the longest in the Romanian army. 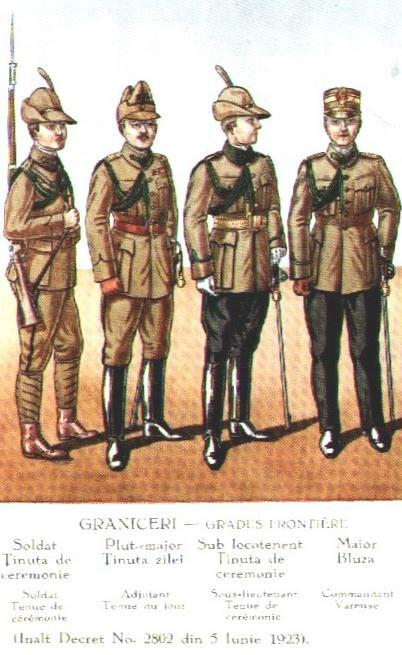 On 01 April 1904 was given the Law for the creation of the Border Guards Corps, under the command of General Staur Simionescu, from the Venatori (riflemen) troops. The law stipulated that the Corps was operationally under the Ministry of War, while its customs activity was regulated by the Ministry of Finance. Recruits had to have already had 1 year of military service in another operational infantry unit, and had a spotless military record; illiterates were not eligible. 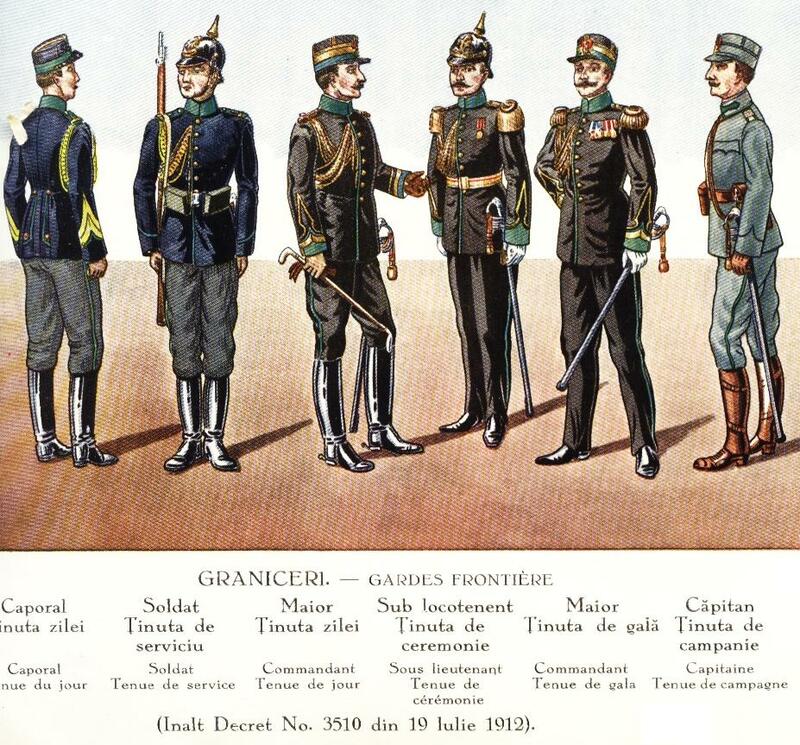 The Border Guards Battalion Bucharest, with 45 officers and 1542 troops, was created. 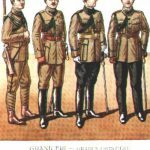 Its strength grew in 1906 to 46 officers and 2023 troops. On 01 April 1912 the Law for Reorganization of the Border Guards Corps was passed. 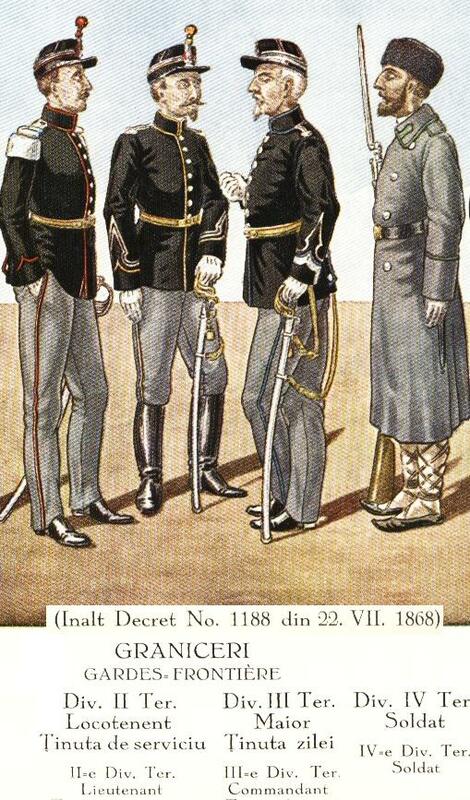 It changed the name of the unit in Bucharest to 1st Border Guards Regiment. It comprised a special training battalion in Sinaia, that had also Palace Guard duty at the Peles castle. Under the leadership of major Badulescu, intensive skiing lessons and mountain fighting techniques were the taught here. 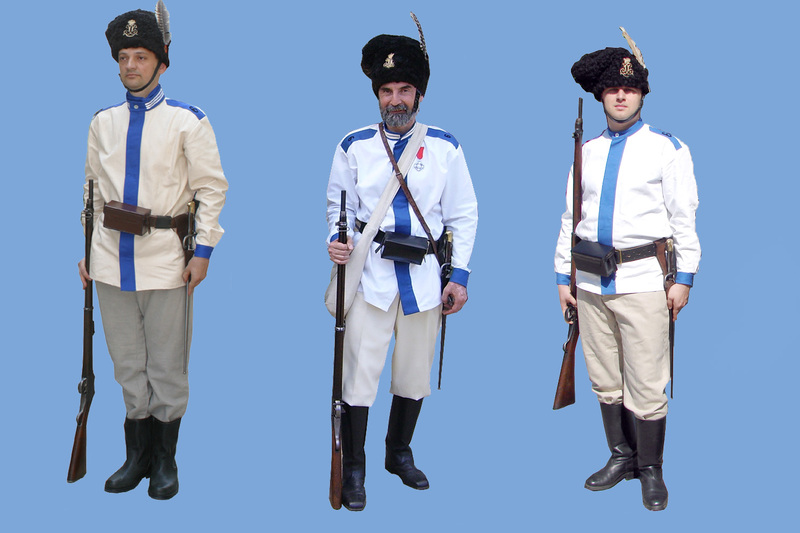 The military service was 3 years long, the longest in the Romanian army, along the gendarmes and the navy. During the First World War, the 1st Border Guards Regiment participated in the offensive in Transylvania, pushing through the Olt Valley up to Sibiu. 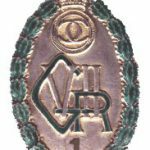 It was awarded on November 8th 1918 by King Ferdinand l., at the Royal Palace in Iasi, the Order of Michael the Brave cl.lll. by ID1592/27 June 1918, for bravery they displayed during the fierce battles of the year 1916. On August 15th 1916, in a furious assault, they compelled the enemy to retreat in disorder, capturing numerous prisoners, weapons, war materials and an armoured train. 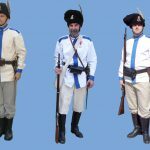 « Then they distinguished themselves brilliantly during the defensive battles at the Turnu Rosu creek, in the Coti battle and in all the ensueing battles in the Fagaras Mountains, up to the Milcov river, displaying the best possible military qualities on the field of honour. »(quoted from the document). 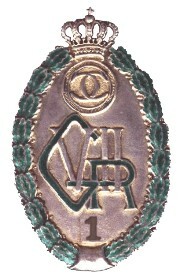 Seven officers were awarded the highest Romanian military order, Michael the Brave cl.lll. 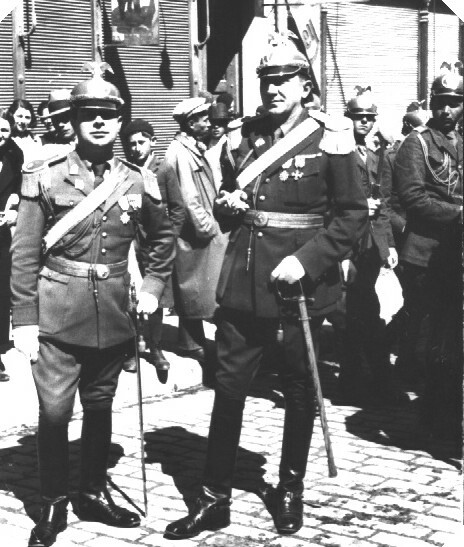 Lt.col.Dumitriu was decorated with the Legion of Honour by Henri Berthelot himself, the commander of the French military mission in Romania. The evolution of the Corps during the interwar period was as follows: in 1927 it grew to 4 regiments (313 officers and 21,800 troops); on 01 June 1930 to 6 regiments; on 01 May 1931 to 8 regiments; in February 1941 to 10 regiments, plus 8 platoons of Mounted Border Guards, 1 unit of several batteries of Border Guards Artillery (antitank), and by 1942 additional 9 territorial battalions. 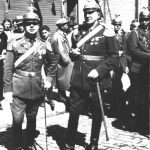 By Royal Decree 333 / 05 February 1932, the unit becomes part of the Guard Division, thus renamed 1st Guard Border Guards Regiment of Bucharest. 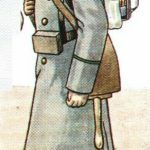 During the Legionar’s armed rebellion in January 1941, the 1st Guard Border Guards Regiment of Bucharest bore the brunt of heavy fighting around the Telephone Palace, incurring the loss of 17 fallen. In the Second World War the unit takes part in the campaign for the liberation of Bessarabia and conquest of Odessa. 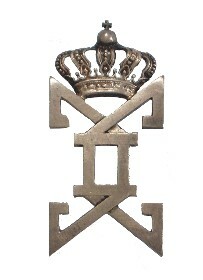 In 1942, 2 of the regiment’s officers were awarded the Order of Michael the Brave cl.lll. On 23th of August 1944, the strength of the Border Guards Corps was of 42,500 men. The regiment fought heavily against German troops that attacked Bucharest; they managed, with minimum losses, proving their true nature of elite troops, to occupy several German barracks and camps in the area of Aparatorii Patriei, to capture the German offensive groups in the area Tunari-Pipera and to get hold of the airport Bucharest-Chitila. After the arrival of Soviet troops in Romania (sep ‚44) following border guards regiments were disbanded: 2, 3, 4, 5, 6, 7; thus the strength of the Border Guards Corps was reduced to 12,000 men. On 21 June 1947, by the Law nr.208, border guards pass under the Ministry of Internal Affairs. 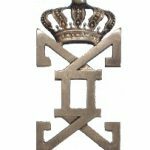 — By DR333 / 05 February 1932, specific elements were added to the uniform of the 1st Guard Border Guards Regiment: a special monogram of King Carol II., in metal, was worn on helmets and epaulettes; the officers received a special badge with the king’s monogram in light green enamel.